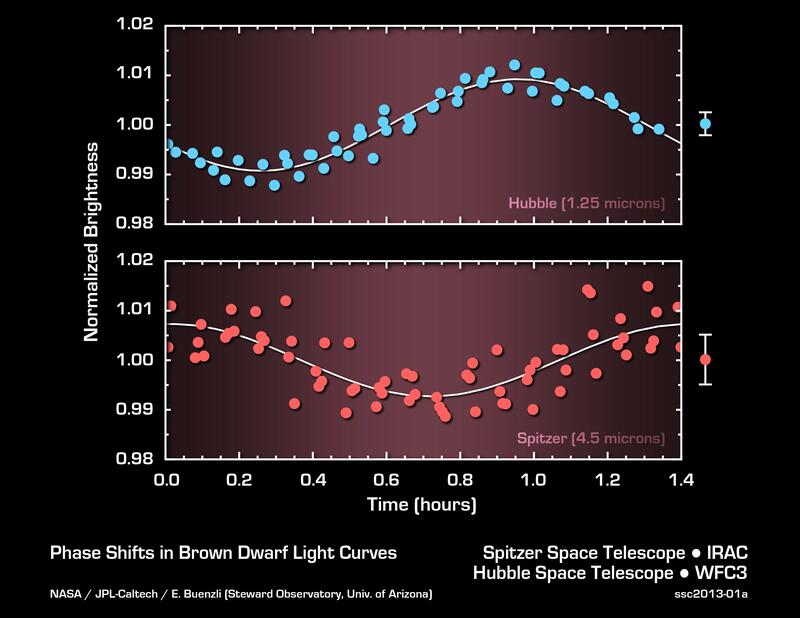 This graph shows the brightness variations of the brown dwarf named 2MASSJ22282889-431026 measured simultaneously by both NASA's Hubble and Spitzer space telescopes. As the object rotates every 1.4 hours, its emitted light periodically brightens and dims. 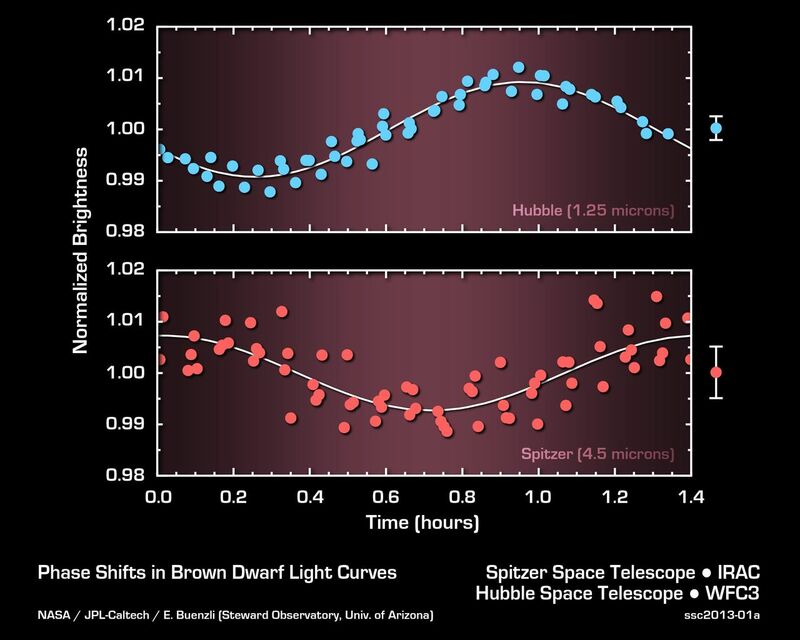 Surprisingly, the timing, or phase, of the variations in brightness changes when measured at different wavelengths of infrared light. 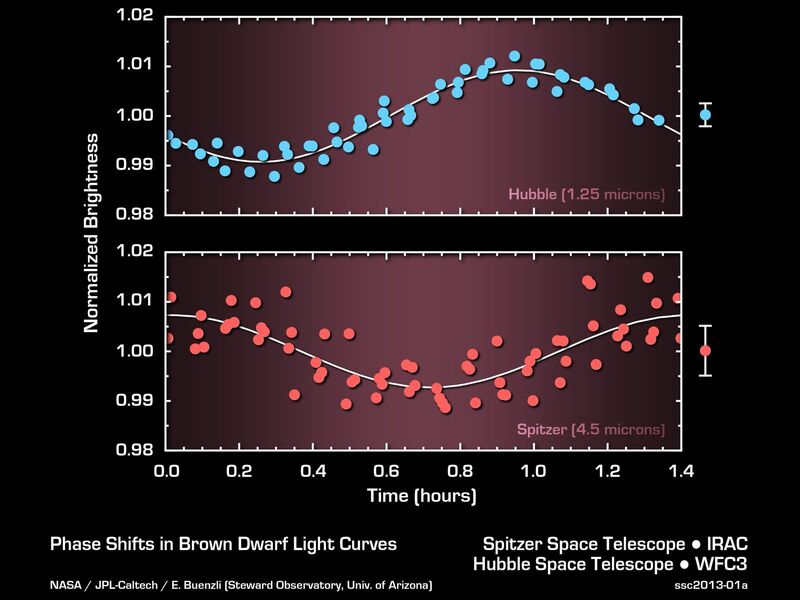 Spitzer and Hubble's wavelengths probe different layers in the atmosphere of the brown dwarf. The phase shifts indicate complex clouds or weather patterns that change with altitude. 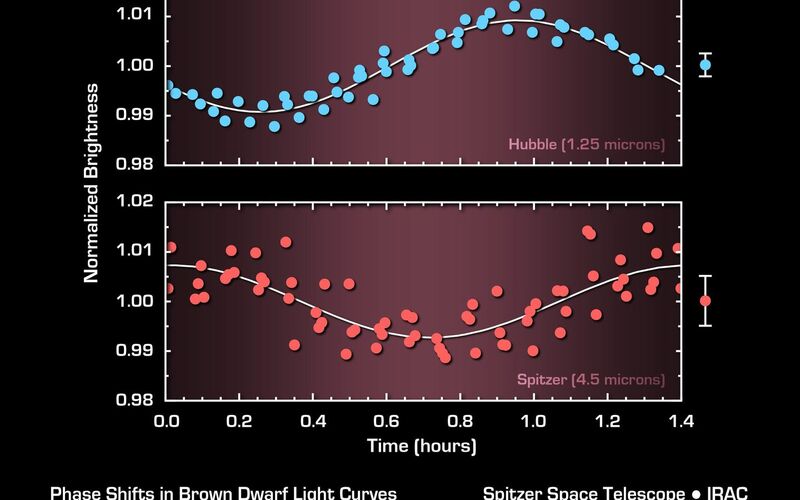 JPL manages the Spitzer Space Telescope mission for NASA's Science Mission Directorate, Washington. Science operations are conducted at the Spitzer Science Center at Caltech. Data are archived at the Infrared Science Archive housed at the Infrared Processing and Analysis Center at Caltech.